WyBlog -- Barack Hussein Obama, President For Life? 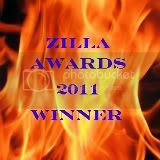 Previous: Who won the 2012 Zilla Award for Best New Jersey Blog? I did! I did! Next: Do these platinum-iridium cylinders make my kilogram look fat?